So sue me! I have a Power Rangers tag on my blog. 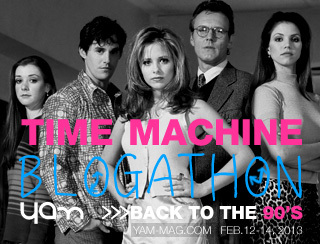 I wanted to do a quick ranking for the Time Machine Blogathon, so I thought it was fair to rank only the seasons that I followed, which ended after the destruction of Zordon  back when Power Rangers in Space was done. Despite my watching of seldom episodes of Lost Galaxy, and even more random episodes of Lightspeed Rescue… maybe Time Force (can’t be 99% sure if I’ve watched that one), and OBVIOUSLY~ Dino Thunder (because Tommy was in it, xD), I feel the proper thing to do is to rank just those first few couple seasons while highlighting my favorite moments, my least favorite ones and stuff. Though not strictly a season on Power Rangers, I gotta give them a special mention as my least favorite rangers of the ones I’m ranking because I just hated that they had to come in because the others were turned into little kids. 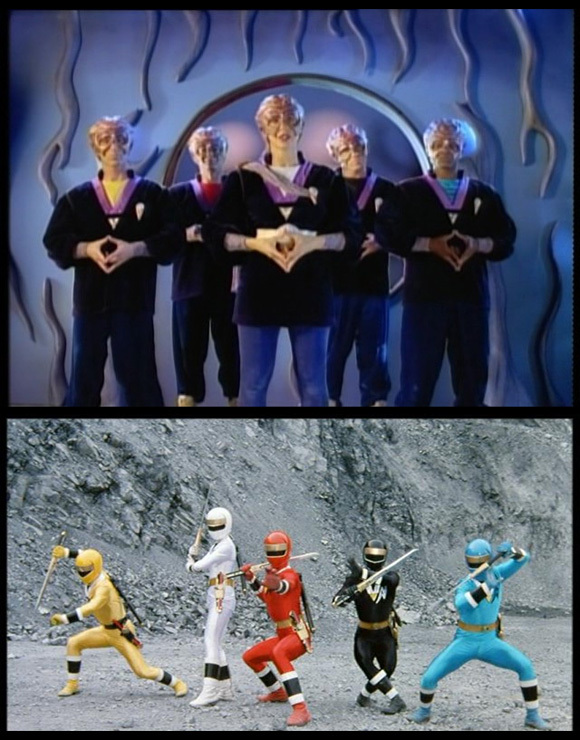 I don’t know why I didn’t like the little kids — being a little kid myself — but looking back on it, it feels like a cheap cop-out to have more rangers thrown into the Power Ranger universe. The only highlight with their inclusion was that the leader was a girl. I haven’t seen that in others (certainly not from the ones I followed), but feel free to correct me. The ending of the Zordon era is still cheese , but it’s pretty darn good cheese. I recently was watching the Latino dubbing of Bones, when I heard Bones’ espanol latino speaking and racking my brain as to where I had heard her voice, until it hit me — Cordelia Chase (from Buffy) was speaking Bones dialog. I was in shocked at the personality clash of that as my brain turned to mush from all that pop culture. I ended up in Doblaje Wiki, in which I discovered Clemen Larumbe was doing the voice. It’s an amazing thing Latino dubbing.. of course, it used to be better because dubbing took longer before, and now you’re on a tight schedule as to not keep fans waiting. In my search of Latino dubbing, I found out that Laura Torres (who voiced KidGoku on Dragon Ball, Tommy Pickle on Rugrats, Daria, Gabrielle on Xena, Catherine on CSI) had also voiced Kat (the 2nd Pink Ranger)… which made me look for other Power Rangers related news. Then it hit me even harder: Amy Jo Johnson (the original Pink Ranger — from the American version) is turning forty-freaking-one this year. I was downright depressed at how old I am. I’m not so ashamed to say that I watched Power Rangers until Zordon was gone — because I’m a loyal fan, I even watched a few of the eps after that. But to me, Power Rangers was truly ended when Zordon’s capsule was destroyed… which takes me back all the way to Power Rangers in Space. 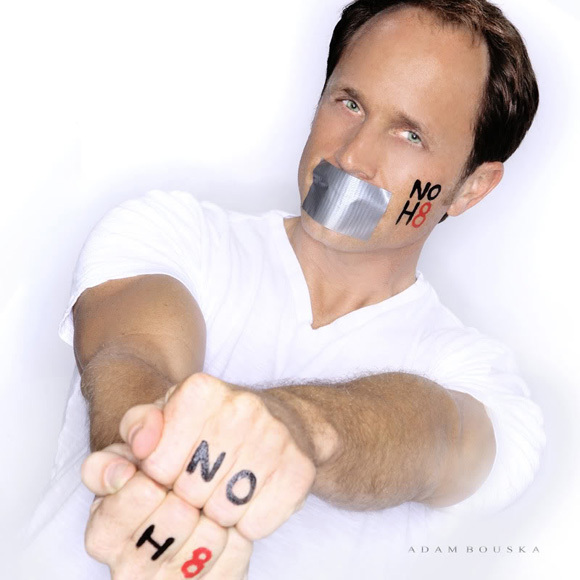 David Yost came out of the closet with an interview and a shoot for the NOH8 Campaign.